While I was growing up in the Pocono Mountains, there weren’t a lot of different restaurants my family chose to go to whenever we wanted a nice meal. Hell, there weren’t a lot of restaurants, period. (Cut to 30 years later, when you can’t walk three steps without hitting yet another fast-casual chain, but I digress.) But there was one restaurant my family went to when there was something to celebrate, or we just wanted something besides a diner. I’m not sure if the restaurant had an official name, we just called it the Motel In Town, because that’s where it was. At the Motel. In the town of Stroudsburg. We’re an uncomplicated bunch, from Monroe County. This was my parents’ favorite restaurant in the area for years – a place where my mom could get a lobster tail, my dad could get a steak or some crab cakes, where I always ordered a plate of steamed clams because I liked to keep the shells (I was a weird kid, guys), and I always, always ordered a Shirley Temple, because I loved the idea of being able to order a “fancy” drink in a restaurant just like a grown up. 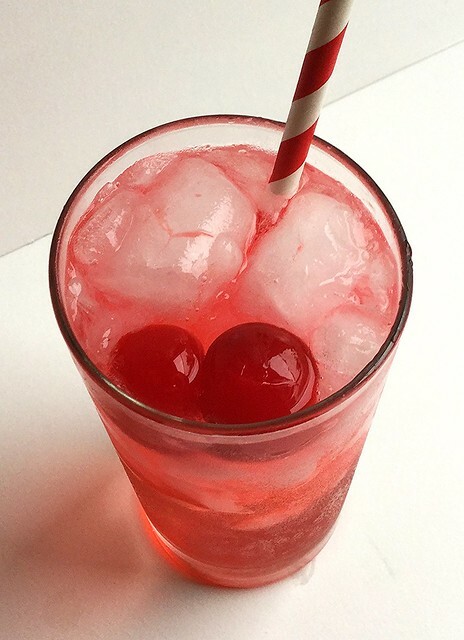 I never knew that it was just Sprite with a cherry flavored syrup. I just knew it was pretty and came with fruit skewered by a plastic sword. All these years later, I’ve had my share of “fancy” (and not-so-fancy) drinks, from the questionable malt beverages of my pre-legal years, to the Malibu Bay Breezes of my mid twenties to my now-usual order of Jack and Coke (or Ginger, in the summer), but I never thought to update my beloved Shirley to a more “adult” beverage until about two years ago. This cocktail is the opposite of fancy. It calls for sugary soda and flavored vodka. It is horribly unsophisticated. You know what else it is? Effective. This, my friends, is how I get what is called “White Girl Wasted”. It’s my go-to drink on game night, my Friday night stress reliever, and one of my favorite summer refreshments. Fill a tall glass with ice, crushed or whole. Add 1 oz. 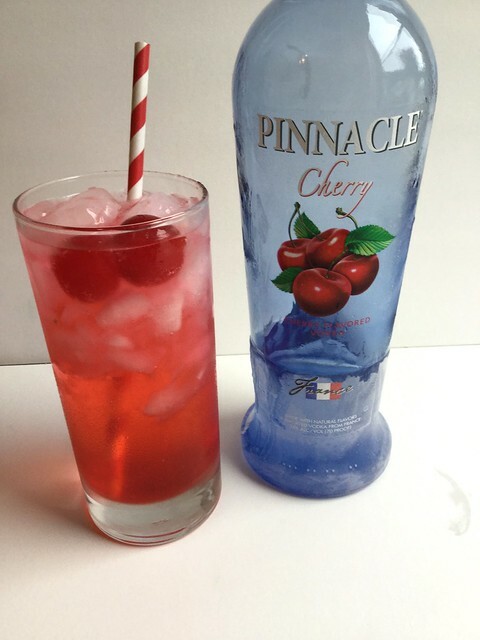 cherry flavored vodka. Fill with lemon-lime soda. Float 1/2 oz grenadine on top. 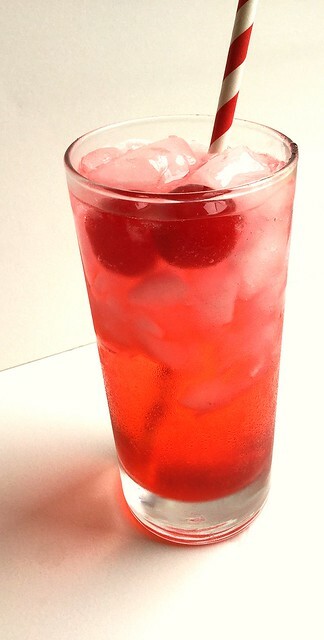 Garnish with maraschino cherries and serve.